It's the end of January, which means one very important thing: Pitchers and catchers report in just a few more weeks. With the MLB season the next big thing on the sports calendar, it's about time we really sit down and take a look at who we think will win the World Series in 2019. It's technically up for grabs for all 30 teams, but the odds appear to think we're going to get a World Series rematch and a back-to-back champion for the first time since 2000. The Red Sox have the best odds to win the World Series at +500. The rest of the top-tier favorites feature only one National League team, the reigning NL champion Los Angeles Dodgers (+700). Meanwhile, the American League has three of the top four teams with two of them in the AL East. 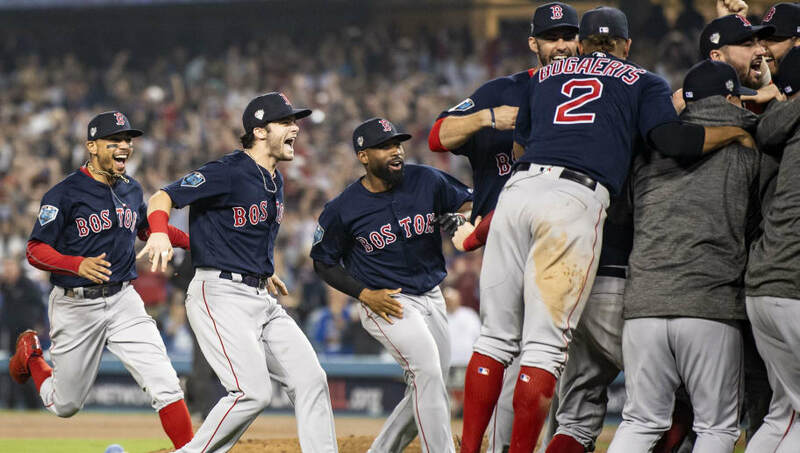 The Astros at +600 and the Yankees at +700 are probably the two biggest threats to the Red Sox in the AL, while the Cubs at +1000 and Braves at +1100 pose a big challenge for the Dodgers. The top seven teams here, adding Cleveland +1100, are also favorites to make the playoffs. -The Red Sox have won two. -Paul Konerko, an All-Star that year, is eligible for the HOF next year. However, the AL is incredibly top heavy. There are three AL teams in the Top 5 but only five teams in the top half of the league with the Athletics coming in at 14th with +2600 odds. Meanwhile, the NL has a plethora of teams that could make the playoffs and thus have decent odds. The Brewers (+1200), Cardinals (+1600), Phillies (+1700), Nationals (+2000), Rockies (+2100) and Mets (+2200) all have decent chances to grab a Wild Card spot and potentially make a Cinderella run. The Diamondbacks (+4000), Rays (+4100), Angels (+5000) and Twins (+5500) all have slim outside chances of sneaking into the playoffs and are the last group here that can really think like that. The Pirates (+6000), Mariners (+6000), White Sox (+6700) and Blue Jays (+7700) don't have max odds, but the chances of any of them making the playoffs appear small. Everyone else here is at +10000 and will be rebuilding. So that leaves us with three AL teams that really have a shot at dethroning the Red Sox, according to the odds, while two teams might be able to stop the Dodgers' NL dominance. We won't know how it turns out for seven more months, but we do know that it's going to be one fun ride.